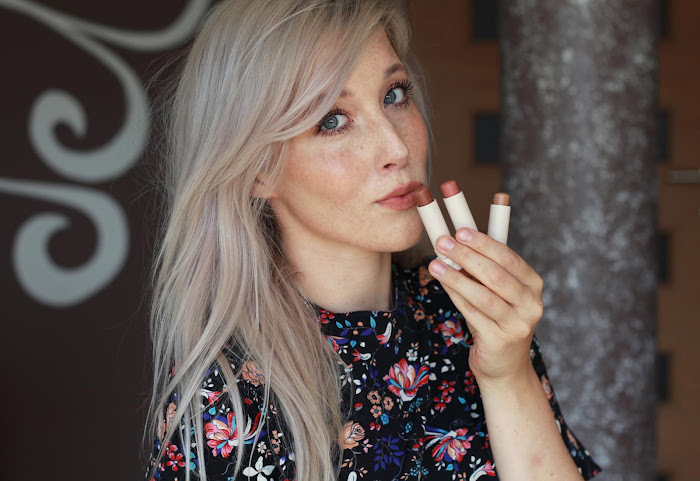 Anybody want a plant-based, natural ingredient lipstick with a gorgeous shine and color? Well, look no further, I have a perfect pick for you. And it also never hurts to be a bit more careful what you're putting on your lips and near your mouth (not that I'm a person to preach about that). What you already know is that I love lipsticks but what you don't know yet is that I generally hate lipsticks with natural ingredients. They just don't work properly, go bad quickly or have a hard/unpleasant texture. Ever since I saw Viola from Killer Colours (if you're not reading her blog by now, you're seriously living under a rock) with this lipstick I instantly knew it's a perfect cherry red for my skintone. A lovely bonus is also plant-based ingredients, organic label and no testing on animals. The entire lipstick line (Couleurs Nature) Sheer and Shine is about natural lipsticks that give you a healthy shine on the lips. Gelee Cerise (cherry in french) is a lovely sheer cherry/pinkish-red with cool shimmers that don't show up on the lips. I was thrilled to pick it up after drooling over the shade for a few months- that made it even more exciting. Shade is absolutely gorgeous in person and lipstick melts like butter on the lips. Texture is balm-like and actually makes your lips looking plump and moisturised. It's not too thick, not too slippery or annoying in any way. You can easily build up intensity. This is what I call a tinted lip butter. Longevity is standard, about 3-5 hours, you can't really expect miracles but it does slightly stain your lips. Now the only two downsides are packaging and scent. Packaging is just outdated, clumsy and not appealing in any way. Scent is horrendous, smells like something herbal with disgusting notes. Not appealing either but I can close one eye just because of gorgeous shade. Lip swatch just doesn't do it justice. Not sure but I think they've come out with new packaging and maybe even formula. The new line is called Sheer Botanical lipsticks. New packaging looks much more appealing - check it out here. This older version has pure organic argan oil for moisturising yet the new formula has 100% cherry oil. Which makes me think new formula must smell amazing...I guess. I suggest you to take a look at Couleurs Nature Sheer lipsticks when you're in one of Yves Rocher stores. I paid about 8€ for this particular lipstick and I don't regret a thing. For better swatches I suggest you to research Viola's blog. Wow, this looks gorgeous. I'm a big fan of Yves Rocher for their prices and the quality combined (and their free gifts haha), so I must try one of these out! 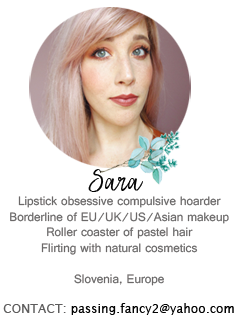 Yup, I wouldn't pay attention to cosmetics if I didn't saw it on another blog :) But I love their skincare too! Cheap but really nice quality. 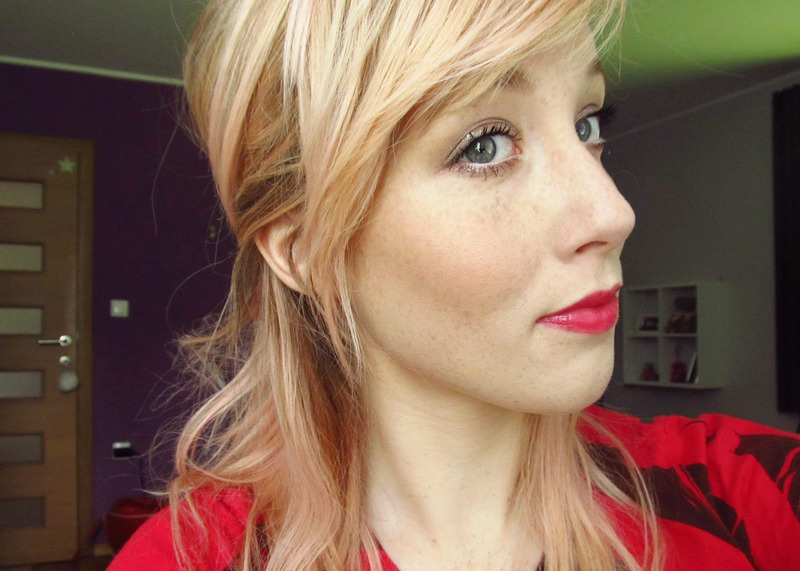 I've never paid much attention to Yves Rocher lipsticks but this looks amazing! Can't find it (or any with that name) on the spanish website though, maybe they've discontinued it?